The card verification value enhances security both for the merchants and customers. 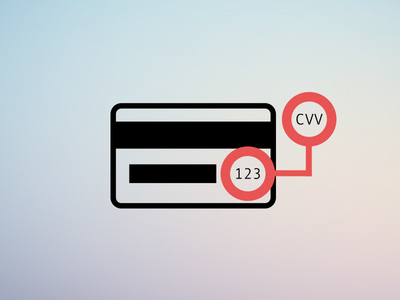 The CVV are of two types called CVV1 and CVV2 respectively. The CVV1 is printed on the magnetic stripe for track 2 of card. The purpose of the first CVV is to verify the data stored in the card is valid and was given by the bank to the person for use. The CVV2 is printed on the back side of credit and debit cards. CVV2 is the three digit unique code which authenticates that the cardholder is genuine and reduce fraud for the business purpose. The American express card has four-digit code which is on the front side of the card. However the purpose of the CVV is to verify that the customer is the actual cardholder and these is considered an added security for the companies who sells their product online, generally used when card not present transaction take place on E-commerce website. Merchants requiring CVV2 for the card not present transactions can dramatically reduce the fraud cases in the business. Using this extra layer of protection can stop breach or fraudulent cards for going through. Avoid retrievals and charge-back fees. CVV2 is prominent for the customers when the buy the online products because you say who you are. Under visa regulations, a merchant cannot store customers CVV database. Address verification system or AVS, was designed by the card issuer to aid in the detection of suspicious credit card transaction activity, and verify that the cardholder address is same which is registered with the bank on file. This is a part of credit card service which requires the authorization for mail order/ telephone order transactions or internet e-commerce transactions. A code is received with an authorization which results in the level of accuracy. This helps to secure the most interchange rates for the merchants. Visa, MasterCard, Discover and American Express supports this service and when paired with the CVV confirmation result in a secure transaction. To verify a customer address the merchant require cardholder’s zip code billing and the house or apartment number of the billing address. The merchant not need to enter the street, city or the state of the cardholder. While AVS is not intended for use as absolute protection against suspicious transaction activity, it just helps in authorizing non face to face transactions. Radiant payment gateway solutions recommends to all the merchant that they secure all these type of orders both with CVV and AVS. Debit and credit cards have highly increasing become the preferred methods to pay for goods and services. As a merchant, we should be up to date with the current technologies and strategies available in the market. It is because when it comes to making an online payment, ease of access and security directly affect sales. Keeping with the current advancements in technology in spite of the industry can be hard. The new payment gateway integration’s are one of the major areas, which we never let to get left behind, as offering security for our customers is a top priority. As a merchant, we should implement the most important card payment strategies now. Developing and implementing the card payment strategy will help us perfectly plan for the upcoming years and keep speed with their competitors, as well as enhance their financial performance. Below, we mentioned some of the benefits of implementing card payment strategies now. Plenty of consumers are starting to use credit and debit cards because of its convenience similar to cash. Therefore, we must implement many new payment strategies to improve their comfort and flexibility in using cards. We need to know about the following technologies and should work to implement them as well. The biggest vulnerability with the card payment is thieves easily get access to use magstripe information. It is because of the data on the black strip of the card is unprotected. Europay, Mastercard, Visa (EMV) chips are one of the biggest steps towards eliminating this issue. Radio Frequency Identification (RFID) is touchless card payments and it lets a card to recognize itself & make a transaction with no physical contact over a short distance. Apart from these, you can implement mobile wallets and NFC. While Accepting Card Payments What Merchants Needs to Know? Do you have started a business? Do you sell the best products at a reasonable price? Thus, customers love your merchandise, queues snake far into a long distance, and grubby coins & crumpled notes are continually filling up your cash register? If yes, then it would be a perfect time to accept several different payment options. 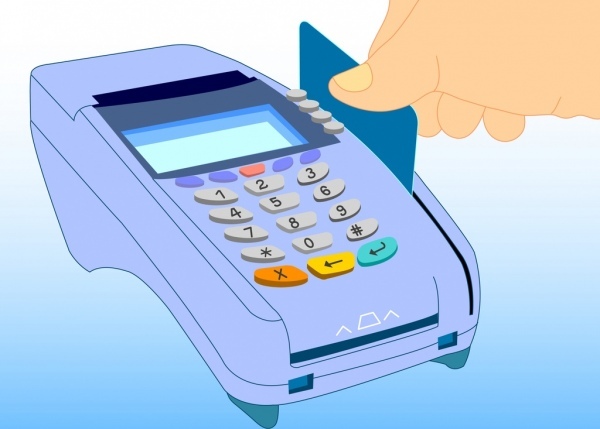 However, many business owners are still worry of the credit card and debit card processing machines unnecessarily. Here are the most important things you need to know about card processing and the reasons it makes your business sense. Accepting cash always seems easy when compared to other forms of payment. It is because as a merchant you need some knowledge of the currency you are presently dealing with & a calculator. However, card processing can be a bit daunting for the merchants to understand its processing. Here is the quick summary of the card processing. Merchant bank – Financial institution, which offers merchant account services to feature transactions to the bank accounts. Card processor – Third party who takes on the merchant bank account responsibilities and facilitates card transactions & direct card details to the right merchant bank. Issuing bank – Financial institution, which issues card (credit or debit) to consumers. Card payment brand – Card brands such as MasterCard, Visa, and American Express. When it comes to credit or debit card processors, merchants have several choices to choose from. it includes traditional bankcard machines, QR code payments, and mobile point of sale systems. Out of these three payment options choose the right one according to your business. here are the key points for accepting card payments. • Prefer traditional bankcard machine if your business is the large establishment along with traditional POS needs, customers are old fashioned and proficient to consign to the contractual agreement and time. • Choose OR code payment when your customers are tech-savvy and young. • Select a mobile point of sale if you wish to own the card reader by paying a fee rather than renting reader or committing to the contract. • Firstly, you have to know that accepting card payment is going to charge you money. If it so, then avoid it completely and go for payment processing partner who offers you a break on fees. • It is vital to know the major players in the electronic payment processing. Therefore, you will be aware of several types of charges your bank or third party will be used. • Know how the card processor will help you grow your business. Your company plan to accept the card payment should also include more than processing and acceptance. • Try to accept a plethora range of payment types to impress new customers and expand your business online. • Most importantly, know which type of payment you must accept. • Finally, know what hardware and software you require to accept card payment. 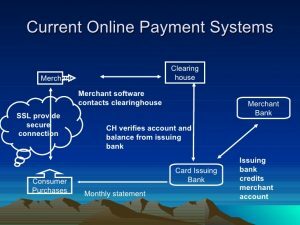 How to Expand the Online Payment Experience? Today many customers are using the credit card and mobile payment to find more experience on payment. 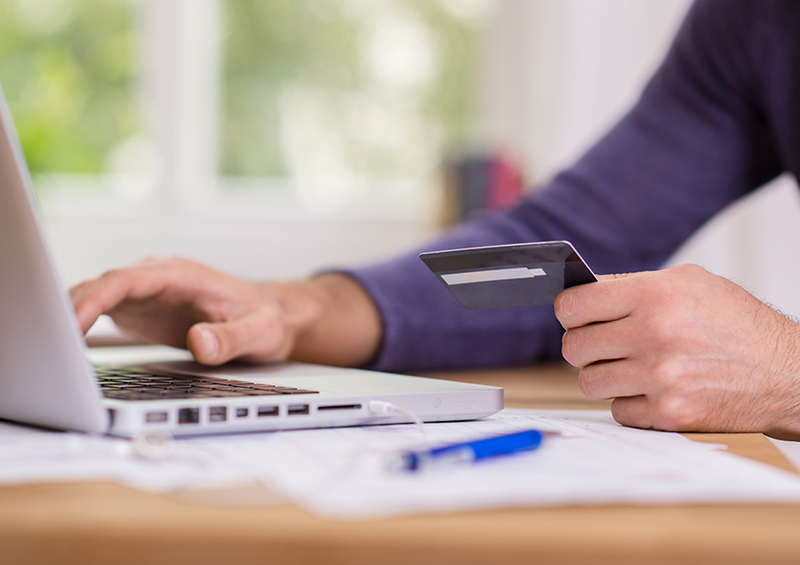 Many business owners are optimizing online payment process to save lots of time. It gives more opportunity to the businesses to enhance the experience of payment. Rapidly most of the people are connected digital devices to pay off for goods. We offer excellent customer satisfaction service to find more benefits on this processing. We give valuable tips t to access your business in the global market and achieve success. Here we have described some tips to improve your online payment experience with the simple process. You might acquire positive experience to increase security to process payment. Internet security is the important one to complete a transaction without issue from cyber criminals and hackers. Over the word, high range of people is using internet for various purposes. This security assists to safeguard your payment details from hackers. It makes you feel more secure on process payment on your mobile device. There is some security software avail to handle financial operations elegantly. You should avoid declining of payments. Credit card decline is largest issues to improve processing experience. There are many reasons to decline cards on your hands. If entry incorrect details of your credit cards, it makes breaks payment processing. You have to keep the contact information of the consumer on the purchased products. It also involves various payment methods that handled manually. Most of the customer likes to found lots of payment options for purchasing any product. You have to offer more options to acquire high experience. It is a crucial part for a consumer to pick right payment choice to payoff products that they buy on your website. So, go through these points to improve online payment experience. As we all know very well that today no one has time to go somewhere especially for transferring money. So, everyone tries to save their time and think to do work quicker and faster. That’s why today we are going to tell you all that how you can save your time due to pay your bills through online apps and how the apps help you to save your precious time. Google Wallet is an option for online payment that helps you to send safe, simple, and fast money transfer from their browser, smartphone, or Gmail account. You even can get your credit cards, debit cards, loyalty cards, and even gift cards store to your account through Google Wallet. Apple Pay is very easy and safe to pay any kind of transactions through you. It’s not only a safest but also the fastest money transfer to their merchants. Apple Pay also has a feature to uses touch confirmation through ID. Just like, you can use your fingerprints to take out their burgers and pizzas. Most powerful and flexible tools for e-commerce build by Stripe. It designed APIs and unmatched functions, whether it’s users, an on-demand marketplace, an e-commerce store, creating a subscription service or a crowdfunding platform. Stripe is a very helpful processor of money transferring to create best products for users. Most innovative technology companies are getting their companies on peak through stripe. Just like all money transfer apps, Paypal is also highly known digital global platform for their users to transfer money speedily, safely and securely. It is also a time saver conclusion for their users to send money from here to there quickly. Through its innovative time-tracking and invoicing tools, Due get famous. These tools are very useful for small businessmen and freelancers. Recently, Due allowed getting secure online payments on 2.7% transaction rate for its users. It also deals with global payments, digital wallet and e-bank to send and receive money. These are five safest, fastest and innovative applications which can help you as an users to send and receive money hassle free. The payment gateway may be provided by a bank to its clientele. A payment gateway facilitates a payment business by the transfer of information between payment gateways. While people are inclined to love PayPal for a mixture of reasons, technology has opened the door for a number of competitors to confront PayPal by offering cheaper free, more rapidly transactions, and improved security. Transactions are earlier and more secure, since Apple Pay uses touch ID verification. Online banking payment has become an established norm of financial transactions for millions in India over the past decade. Online banking also provides a host of non transactional features which are quite handy to the customer. There is abundance of perks accessible by banks to customers who adopt internet banking over the traditional visit physically to the nearest branch office. 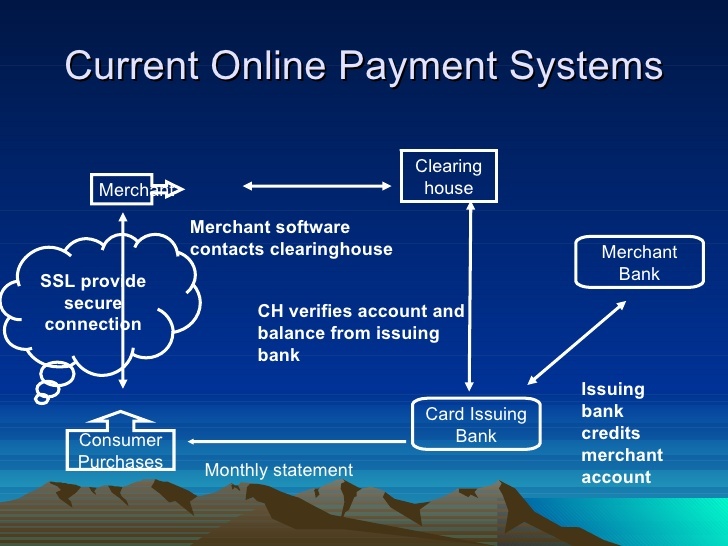 Many online payment processing and payment gateway companies provide merchant financial records. This financial statement can also be opened with some large banks that provide such services. There are a selection of payment gateways and payment processors out there. They vary in the monthly fees and operation costs. It is vital to choose the right company for your merchant account if you plan to run a money-making online business. 4 ways you can shop safely with Mobile Payments! Almost every individual own a mobile phone to carry various tasks and daily activities like: paying bills, online tickets booking, credit cards and insurances policies through mobile devices. And this proved an incredible way to save customers lots of time and money, also it is fast, secure and easy way to make payments. And these process is simply efficient to all who make online payments. Online payments through mobile devices is growing concern to over-come with frauds and cyber-theft. This concepts sincerely made an effort to safeguard the interest of the consumers and a huge step to safeguard online payments. 1. Check the url address bar – while making online payments for any purchase of goods and services or to make online bank payments, check the address of the url it should be start with HTTPs . these is the first security sign of safe online payment. This HTTPs gives safeguard that the data is safe and exclusively restricted between you and the system. 2. Regular Update your Device – say goodbye to your outdated version, regularly update is an effective method to block the potential loopholes. These security feature will guarantee you with adequate protection from malware softwares that can risk you with frauds and other cyber theft activities. 3. Keep public Wi-fi away – shopping outdoors with public wifi could be harmful while making online payments transfer If you use it, you are unwittingly exposing yourself to cyber-theft. 4. Don’t Save sensitive data in your device – many of us have a habit to save our login credential in our mobile phone, of course this is good habit, but sometime it could be dangerous if your mobile is stolen or your password is hacked by someone. Stop this habit, because it the easiest way to expose your sensitive data to others. If the app you are using for payment has “store and forward” feature, turn it off. Online purchasing of goods and services is nowadays a popular trend and a convenient way to perform the buying activities. The consumers have no longer to visit shopping malls and stand in lines for money transfer, bill payments, tickets etc. with just one click and few keystrokes they get can get the goods and services right at their door steps. For online businesses, this is an advance solution to bring more sales and profits over the traditional methods of payment. This online payment processing is certainly something that every online business should take advantage of varied services offered by these online payment processing companies. At Radiantpay we also provide reliable and secure payment processing system that can help you to process all your credit, debit and money transfer for online purchases. A fully designed set of services with various payment options to boost your sales and satisfy the wants of consumers regarding online payment transfer for the purchase they made. Online payment options indefinitely encourage the buyers as they can see your business is accepting credit cards and processing e-payments that are more convenient for them.